Agnikumararasam gulika improves the work of digestive system. This medicine removes the lethargy of digestion and stagnation in the digestive system, removes toxins from the body. Agnikumararasam gulika improves appetite during and after acute infections, helping the body to maintain the necessary recovery force. Indications: weak digestion, dyspepsia, dysentery. Composition: Maricha, Ugra, Kushtha, Musta, Vatsanabhi processed with Adrakasavarasa. Dosage: 1-2 tablets 2 twice a day or as directed by your doctor. Contraindications: High Pitta, the open ulcer, gastric cancer. 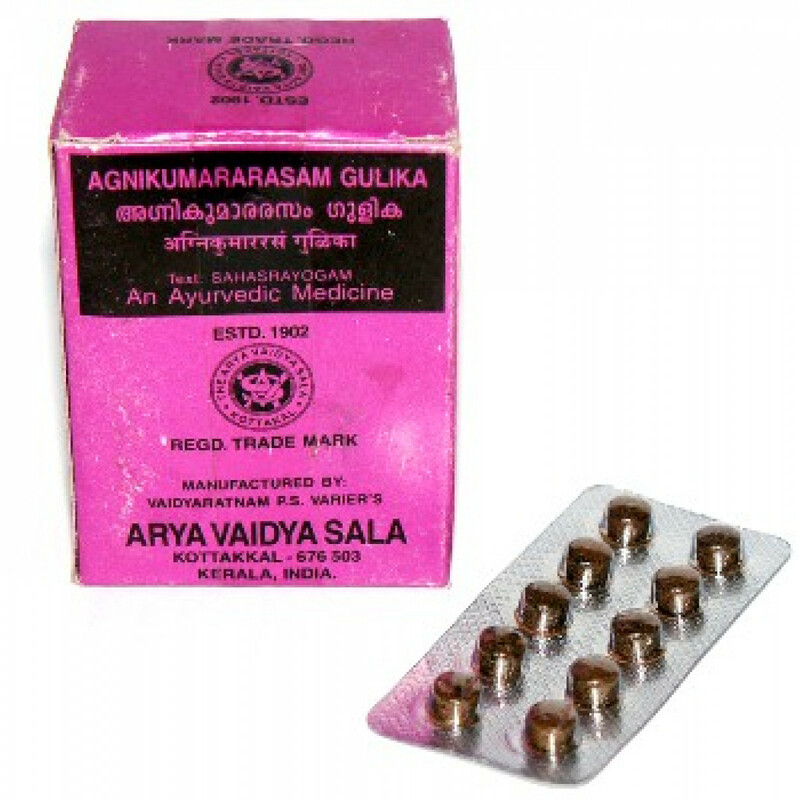 Original name: Agnikumararasam gulika Arya Vaidya Sala. In our store You can buy original Agnikumararasam gulika Arya Vaidya Shala at the best price!